After winning the 2018 elections, Pakatan leader Tun Dr. Mahathir will prepare to take over the reins as Malaysian Prime Minister for the second time. We look back at some of the economically-related actions and decisions made during his first spell as leader of Malaysia including his handling of the Asian financial crisis and his efforts in advancing tech and ICT in Malaysia. At the tail end of a long and eventful week that saw Malaysia’s government change hands after more than 60 years, the dust has finally settled and our new administration is now a certainty. On May 10, Tun Dr. Mahathir was sworn in as our seventh Prime Minister and with that marked the beginning of a new chapter in the annals of Malaysian politics. 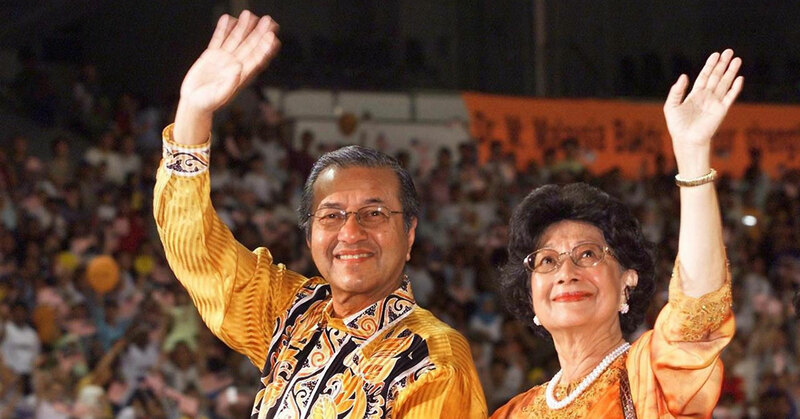 As Malaysia prepares to go under his leadership once again, we take a look back at Tun Dr. Mahathir’s first spell as Malaysian Prime Minister (from 1981 to 2003) and some of his most important economic-related actions and decisions from that period. 1. Dealing with the 1997 Asian financial crisis. In 1997, a number of countries in East Asia—Malaysia included—found themselves severely affected by the financial crisis. Hit by the region’s financial contagion, Malaysia saw the value of the ringgit plunge significantly (from around RM2.50 to around RM4.40 against the US Dollar) and witnessed a drop in foreign investment as well as in the main stock exchange. Hoping to halt the downturn, the International Monetary Fund (IMF) prescribed a series of rescue packages for the nations affected by the crisis that would involve them receiving fiscal assistance from the IMF. In exchange, these nations were to subject their economies to financial reform the influence of the IMF. Deciding to decline the IMF’s assistance and handle the crisis on his own terms, Mahathir pegged the ringgit against the US Dollar, effectively calming the financial turmoil, and ordered that government spending be increased. This resulted in Malaysia recovering from the crisis much faster than neighbouring countries, and the retention of Malaysia’s economic independence. In hindsight, however, this also meant the missed chance for economic reform—something which has benefited countries like South Korea and Indonesia greatly over the years. 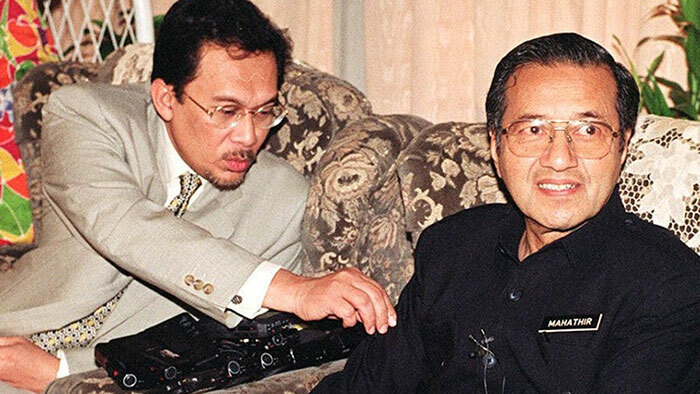 It was during this period of time that Mahathir also found himself at odds with the then Deputy PM Anwar Ibrahim, who supported the IMF ideology, which eventually saw the feud end in an ugly sacking and court trial that went on to plague the former Deputy PM for two decades. 2. Privatisation of governmental enterprises. Another one of Mahathir’s initiatives during his first tenure as PM was the privatisation of governmental enterprises that started in the 1980s. Under his watch, industries such as airlines, telecommunications, and utilities were privatised and led to the birth of companies such as Telekom Malaysia, Tenaga Nasional Berhad, and Malaysia Airlines (MAS). All of this was done with the aim of creating more economic opportunities for the Bumiputera community, and saw many other privatisation projects mushroom along the way. In hindsight, these privatisation exercises have had many far-reaching effects. Some of the enterprises birthed from this initiative have gone on to become successful publicly traded companies (such as Telekom Malaysia Berhad with an RM12 billion revenue in 2017). Some other companies have failed spectacularly (MAS’ continued billion dollar losses eventually led to them being renationalised in 2015). One of his most iconic ideals, Wawasan 2020 or Vision 2020 was a set of targets laid out by Mahathir that he hoped Malaysia would be able to achieve by the year 2020. Among the targets, two of them aimed for Malaysia to become economically competitive and scientifically progressive. In order to propel Malaysia towards fulfilling these targets, Mahathir launched numerous projects, one of them being the Multimedia Super Corridor in 1996—a specialised economic and technology zone situated within the state of Selangor. The zone spans approximately 750 square kilometres and covers various important technological landmarks such as the Petronas Twin Towers, KLIA, as well as the towns of Putrajaya and Cyberjaya, and is currently has its development overseen by the Multimedia Development Corporation (MDEC). From its inception, the MSC was intended to spearhead Malaysia’s foray into the information age and embrace emerging technologies. And to that end, MSC now offers an environment for businesses to experiment and innovate using new technology, with companies (both local and foreign) being conferred MSC Status should they be judged to be progressive in the use of ICT for their products and services. The MSC Status is now highly sought after by tech-based businesses due to its many perks (such as tax incentives and availability of R&D grants), and companies within the MSC have managed to record revenues over RM42 billion (last recorded in 2015), and have created more than 158,000 jobs (also last recorded in 2015). With the hope of bringing Malaysia’s industries up to speed with the rest of the world, Mahathir throughout his first stint as PM began and oversaw the birth of many significant Malaysian economic projects and entities. One of the most pronounced examples was when he attempted to bring Malaysia’s automotive industry up to speed by founding Proton. Partnering with Mitsubishi of Japan, Proton ended up with the Saga—the first Malaysian car. 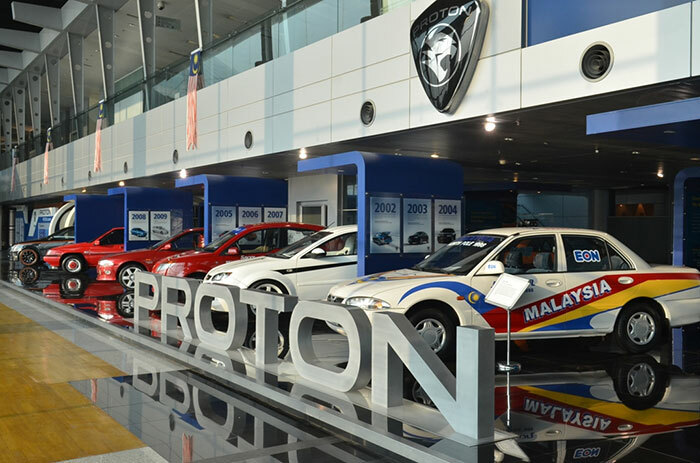 And despite initially suffering poor demand and negative bottom lines, Proton also eventually became—with the help of some protective excises—one of the largest profitable car manufacturers in South East Asia (although it again fell into hardship some years on). Along the same vein, Mahathir also oversaw the other successful economic advancements such as the arrival of Formula One in Malaysia, the building of Kuala Lumpur International Airport, the construction of the Petronas Twin Towers and the SMART Tunnel. And conversely there were also some projects that were did not achieve the same level of success, such as the various abandoned projects in Johor, and the Bakun Dam in Sarawak which experienced delay after delay after construction began in 1996 (it was finally operational in 2011). Having looked back at these initiatives by Mahathir during his first period in charge, it will now be interesting to see how his viewpoints have changed and what we can expect from the new administration moving forward. To get an idea of what’s possible, read our article about Pakatan’s GE14 manifesto and what it means for businesses in Malaysia.